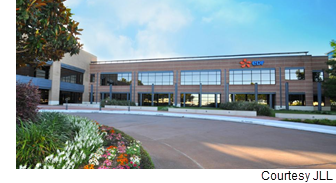 ​​ ​HOUSTON – Mediterranean Shipping Co. has inked a 33,713-sf lease at the 130,000-sf Concourse at Westway office building at 4700 W. Sam Houston Pkwy. N.
The company will move in during first quarter 2019. JLL represented the landlord, Guggenheim Concourse. Colliers represented Mediterranean Shipping.